I need to try something else- to learn to live with fear rather than in fear. ''Sometimes,' Ivy tells him. "And sometimes they haunt you even when you're awake." If you like horror flicks with twisty plot lines and characters that are there just so they can get killed off, you will really like Welcome to the Dark House. Think something along the lines of I Know What You Did Last Summer, Scream, Saw and House on the Haunted Hill all mashed up together. The book isn't as gore as Saw, obviously (though it does have its fair share of dead bodies), and there are no revenge-seeking ghosts either, but the plot construction and the somewhat stereotypical character cast feels very familiar. Not that it's a bad thing. Not at all. 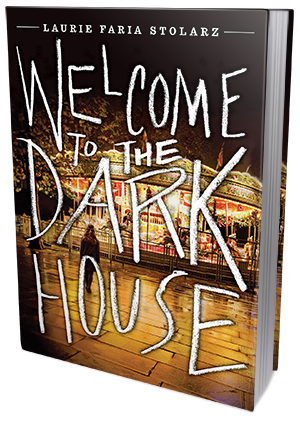 I had plenty of fun reading Welcome to the Dark House and would definitely recommend it to thrill-seeking readers who enjoy darkly entertaining horror stories.